We invite you to a talk by Daria Jadreškić (Leibniz Universität Hannover) titled “Goal Setting, Speed, and Methodological Trade-offs in Gravitational Wave Physics” that will be held on Wednesday 24.04.2019. at 14:15 at the Faculty of Humanities and Social Sciences in Rijeka, room 405. The abstract of the talk can be read here. We invite you to a lecture by Nicholas J. Bradshaw (Department of Biotechnology, University of Rijeka) titled “Psychiatric illness: The biologist’s perspective” that will be held on Tuesday 23.04.2019. at 9.00am at the Faculty of Humanities and Social Sciences in Rijeka, room 401. We invite you to a lecture “Medical Gaze in Psychiatric Patient Files: Social Constructionism in History of Psychiatry” by Vinko Drača (University of Zagreb) that will be held on 09.04.2019 at 9.00 at the Faculty of Humanities and Social Sciences in Rijeka, room 401. We invite you to a conference “Perspectives on Art: Art, Mind, and World” that will be held 5-6th of April 2019 at the Faculty of Humanities and Social Sciences in Rijeka. Project ThUMB 2019 (Croatian Science Foundation) has a call for applications for its Summer School in Philosophy of the Life Sciences: Molecular Biology and Evolution, which will take place at the Faculty of Humanities and Social Sciences in Rijeka (University of Rijeka, Croatia), from July 15 to July 18, 2019. The target group of the Summer School attendees are early stage researchers (post-docs, PhD students, late stage MA students), but also other interested researchers. In order to apply, please, send a short CV and 500 word abstract on a topic that you would like to present at the Summer School. Please submit the material in a pdf form to Predrag Šustar, psustar@uniri.hrThe submission deadline is May 15 2019. 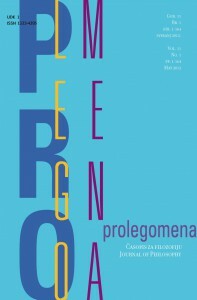 We invite you to a promotion of the book “Kant and Bioethics” by dr Igor Eterović (University of Rijeka). The promotion will take place at Ex Libris, Riva Boduli 3b, 51000 Rijeka, on Thursday 21.03.2019 at 19.00. We invite you to an interdisciplinary conference titled “Emotions – approaches and perspectives” that will be held on Tuesday 19.03.2019 at the Faculty of Humanities and Social Sciences in Rijeka at 9:30, room 401. The European Philosophy of Science Association (EPSA) announced 18 EPSA Fellowships for junior philosophers working in Central and Eastern Europe to visit a leading research institution in Western Europe. The application deadline is April 15 2019. We invite you to the roundtable titled “Literature and society: values of reading practices” that will be held on Monday 11.03.2019 at the Faculty of Humanities and Social Sciences in Rijeka, room 206, starting at 11 O’Clock. For more information see the invitation here. 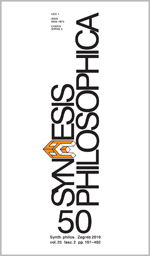 The Department of Philosophy at the Faculty of Humanities and Social Sciences in Rijeka and the Croatian Society for Analytic Philosophy invite you to participate in the 21st annual conference “CONTEMPORARY PHILOSOPHICAL ISSUES”. 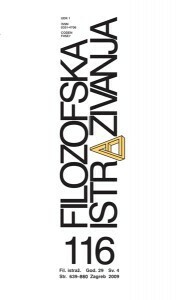 The conference will be held from the 16th to the 17th of May 2019 at the Faculty of Humanitiesand Social Sciences in Rijeka (Croatia). 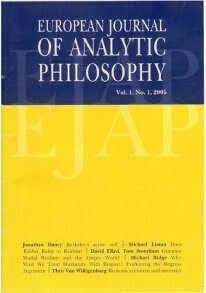 Submissions on any subject in analytic philosophy broadly understood are welcome. Please send a Word compatible file with the title, the name of the author(s) with academic affiliation(s), and abstract of your talk, maximum 500 words, no later than the 15th April 2019 to the following email address: agolub@ffri.hr. There is no conference fee. Coffee and refreshments will be served during the breaks.